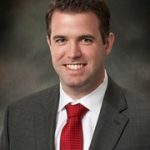 JOHN HUSTED BECOMES A MEMBER OF FHMBK - Fanning Harper Martinson Brandt & Kutchin, P.C. - Fanning Harper Martinson Brandt & Kutchin, P.C. Fanning Harper Martinson Brandt & Kutchin, P.C. congratulates JOHN D. HUSTED on becoming a Member with the firm. Since joining the firm as an associate in 2008, Mr. Husted has distinguished himself in the areas of employment law, school law, local government defense, and constitutional law. Please join us in congratulating Mr. Husted for this significant accomplishment.